I like this one but as @hotdrop stated you definitely want some room on the side to clean the glass. 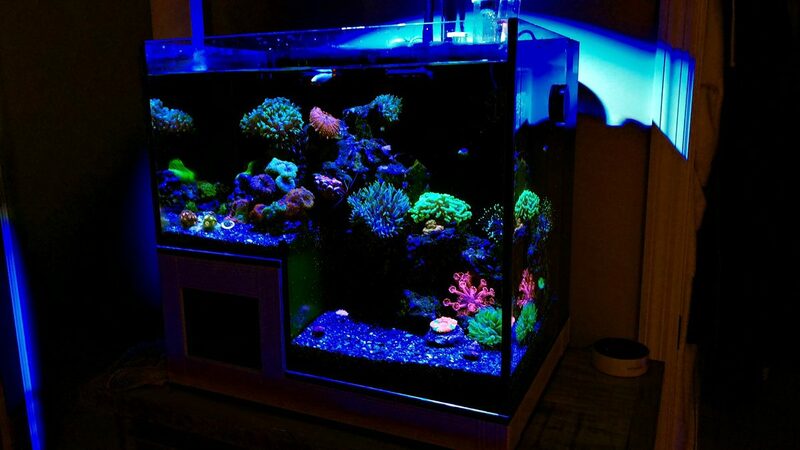 You have several levels and which gives you good options for corals along each level. Some good sand space on the front right as well. 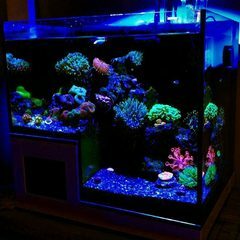 These 12 gallon longs are fascinating! They look soo much bigger. Care to show a pic of the guts underneath?? Not really, I just turkey baster blast it out every month or two. I pull my pump and heater during that time as well just for cleaning and maintenance so it takes very little time. I have a Nuvo 10... love it. Thanks that's what I was planning on doing as I've heard its very powerful. I've also read use only 1/2 of the recommend dosage to be safe. Thanks, that's what I was planning on doing, running phosguard as needed for a short amount of time. Thanks for your help. I've been doing some reading and I think what @clown79 is saying about the Chempure is my problem. I run it for 45 days usually and when I did my latest phosphate test that's when I noticed it so high so it makes sense it ran out already (it had run for 45 days). So would I be ok just running GFO/ Phosguard and Purigen and get basically the same results (dumping Chempure entirely)? That's my worry, everything is ok now but I know high Phosphates is a ticking time bomb. I'm looking at running a little Phosguard to bring it down slower. I also run Chempure Blue in both tanks. Any positive/negative with running a little Purigen along with Phosguard? Really interesting concept on your new one. I love my Panorama. Advice on how to get Zoos acclimated and growing! Following along. I can't figure it out either. I had some zoa's in my 10 gallon that did ok but when I switched to my 20 gallon with a bit more light they took off (10+ heads in 2 months). On that very same rock some green ones I brought over from the 10 gallon look beautiful but have not put a single additional head.